What can we say about the devices that enable us write? Can they write a story of their own? These are the questions that plagued my 10 year old mind. It was the year 2000. In class 5. I was in a day primary school where, I presume like in many other schools, progressing in class meant progress in one facet that is king in the world of learning. The white missionaries who harboured selfish and ulterior motives under the guise of spreading the gospel outright proclaimed the 3R’s: Reading, wRiting and Rithmetic. I’m talking about writing. If writing is king, then reading is queen. And rithmetic is the king’s side-dish. Sorry for that inappropriate TMI. I can’t remember the day I first wrote anything. However, I have parents who filed every exercise book and school report from 1994. My father has been filing KCPE and KCSE results newspapers. I’m talking about the newspapers that show results of the national exams. My name appears in one. Back to business. I have books from my pre-unit class. Perhaps these might be the existing proof of the time I first scribbled anything. Writing is an overstatement. My father is a lecturer. So biros and papers were all over the place. I’d drag my toddler self towards the pile of exam booklets belongins to his students. I’d leave a scar. By ‘scar’ I mean a dent on a paper he’d “carelessly” leave near me. “If adults think kids are dangerous, why then do they leave everything in a place I can reach,” I often wondered. Red biros. For marking. Writing headings in his neat notes. Blue biros. For writing notes. Personal notes. Any notes. Same for black. BIC, Speedo, AIM and other Chinese pens. I don’t know if these Chinese ones were “fake”. I wrote in my language regardless of the brand I used to scribble with. When I joined pre-unit, we used pencils. Not HB. Not Staedtler and other fancy pencils. Remember those cylindrical or round or circular or whatever you call them. Pencils. That’s the word. They were made in China too. They had a pink or red rubber at the end. I always chewed the rubber away. Nowadays the taste of the eraser leaves me with a nauseous feeling. A feeling so intense that I distastefully look back at my 4-year old self. “Why did the Chinese guys put in the eraser that the Germans and Britons who make Staedtler don’t?” That million-shilling question always rings. I didn’t want to say “million dollar question” ’cause I don’t have time to convert. Progressed to class one expecting that we’d be told to use ball point biro pens. Wapi!! Nothing. Pencils. I still have the handwriting classes exercise books. They remind me of the tortuous sessions when teachers would ensure that we wrote properly. Class 3, however, was the turning point. Class 3 pupils used fountain pens. They looked executive. Maiben, a close pal, always stood out. While the rest of us were chewing the pencils: from the eraser to the graphite lead to the wooden encasement, the class 3 pupils would pocket their fountain pens either at the V-collar of the jumper or pullover or whatever. Some put them in the breast pocket. 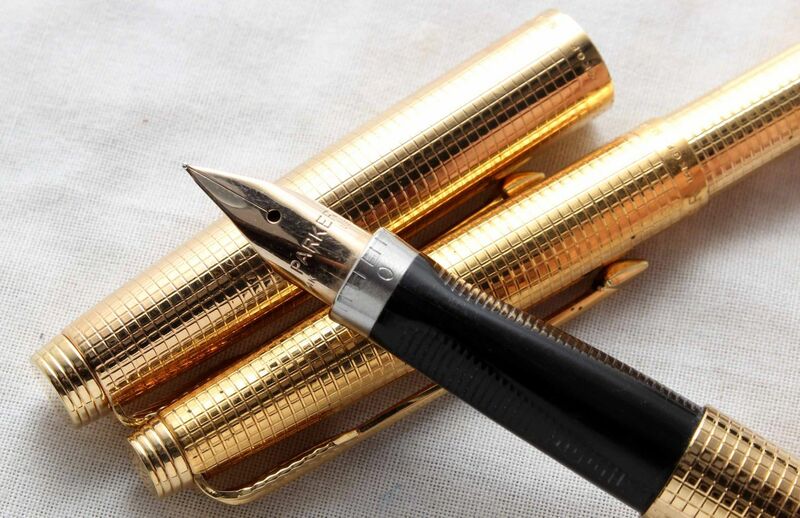 “I want to rock a fountain pen too,” I would tell my dad. He had a number of executive fountain pens. I broke the nib of one. He was furious. Only for a moment though. There was this pot of ink. Or bottle of ink. Blue. Quill. Flamingo. Whatever the brands. Using the fountain pen was an art. From replacing the ink, to writing, to avoid and clean after the inky mess, to the unfathomable art of transferring ink from one fountain pen to another. It was an art. It was prestigious. A messy prestige. The prestige that stains you but still you have to keep writing. I walked into a shop in town last year. I asked the price of a Parker fountain pen. “That one goes for 25,000/- only,” said the Asian trader. “No, sir, I was just asking,” I replied. I walked out. One day, I will afford that one. A good one. Let’s get inky. Messy. Let’s write. Man, I went down the memory lane to the younger me in class three. I had awaited the opportunity to use a fountain pen like an Israelite waiting for manna. A clean shirt getting inked; blue lips- thanks to a faulty pen that needed emptying; the occasional failed attempts to re-engineer the nib: my adventure with pens and ink. This article is full of life. But let me ask, hiyo pen inauzwa 40K; kwani it comes with a C.P.U? I remember those early days trying to build my collection. Trying to decide whether or not to invest more money in the higher end pens. I think when you first start out, you shouldn’t worry about spending to much, but I will say that I do not regret. most of the costlier pens that I’ve purchased.